A leader in knowledge and experience, CMVD has been assisting people like you document their boats with the United States Coast Guard since 1970. Whether Recreational or Commercial, Cash of Finance, our friendly, experienced staff will answer your questions and guide you through the documentation process. 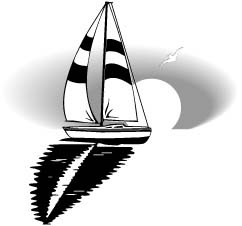 Our goal is to make documenting your boat quick, easy, and affordable. Call today. CAROL MATTHEWS' VESSEL DOCUMENTATION, INC.
IS COMMITTED TO EXCEL AS AN ORGANIZATION PROVIDING QUALITY SERVICES, MANPOWER AND TECHNOLOGICAL RESOURCES TO PRODUCE THE SERVICES THAT MEET THE NEEDS OF OUR CUSTOMERS. WE STRIVE TO ACHIEVE THE OPTIMUM IN CUSTOMER SERVICE. Now Accepting MasterCard & Visa! Copyright © 2004 Carol Matthew's Vessel Documentation, Inc.